Like most backcountry equipment, tents have become increasingly specialized. Searching for just the right tent can be a daunting task if you don’t know what you’re looking for, and if you get it wrong you may be in for a long night. Do you need a three- or four-season tent? Should you go with a traditional double-wall tent or an ultralight single-wall tent? Would a family tent work well for your trip? The guide below should help you get started in the right direction. Full-coverage canopy to keep you dry in the rain. While a two-person tent may be the most versatile choice, going larger has advantages. One four-person tent weighs less than two two-person tents, so it can actually save your group some weight. Another reason to get a larger tent is for the extra space. While splitting a three-person tent between two people may not be that great for long-diatance hikes, the extra interior room makes for a much more comfortable day if you end-up storm bound. It also gives you extra elbow room at night. 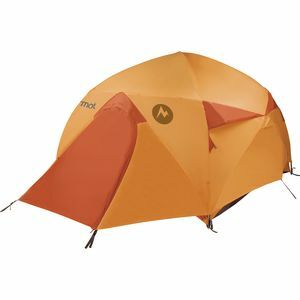 Get a tent for the exact number of users on alpine routes and backcountry ski tours where weight is an issue. Some weight-obsessed alpine climbers even use tents that are too small to save weight, but you don&apos;t want to spend more than one night in a row packed together like sardines. If you&apos;re planning for a glacier base camp or spending a week skiing laps in the same cirque, then consider a larger tent than you need. Every extra inch counts when you&apos;re sitting through winter&apos;s long nights. You don&apos;t have to worry about weight, so error on the big side. Family campers commonly pitch a six-person tent and then put three people inside it. Why not? You don&apos;t need to carry the thing anywhere, and more room makes it easier to break out some serious card games. Trips where weight and space are your main concerns. If you&apos;ll be in rainy or hot weather: double wall tents offer better rain protection and vent better than single wall tents, so there&apos;s more airflow and less condensation. Trips where you will be in the same camp for several nights. Trips where you will be in the same camp for several nights (base camp). All family tents are double-walled. If you find a single-wall family tent, tell us! The answer comes down to weight vs. convenience. A second door (and the vestibule that goes with it) makes tent time more comfortable, but it adds weight. If you&apos;re the type of person who cuts tags off a jacket to save a half ounce, then get one door. If you like to kick back and relax in camp, then get two. Even the most weight-obsessed have to admit that a second door is pretty nice when you have three or more people in a tent. For winter tents the door question usually gets answered when you think about how much time you&apos;ll be on the move. In base camp, a second door can be pretty key. On a steep alpine route, a second door just adds weight. 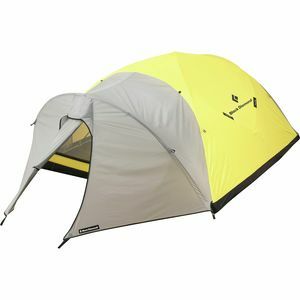 However, some find the convenience of a second door to be well worth the extra few ounces, expecially for tents that hold three or more people. Yeah right. With these tents it&apos;s more like "do I want five or six doors?" You don&apos;t have to carry this thing anywhere, and you&apos;ll have tons of people coming in and going out all the time. The more doors you have, the happier you&apos;ll be. Think of a vestible as a covered porch where you can stash your muddy boots before coming into the house. This awning also provides a place to stash your pack and other gear where it won&apos;t be soaked in the rain. Only the very lightest of three-season tents eliminate the vestibule to save weight. Vestibules provide a place to store gear and put on your boots without exposing the inside of your tent to the burly snowstorm brewing outside. When camping on snow, you can dig out the below the vestibule to create a plush porch and storage area. Four-season single-wall tents often do not have an integrated vestibule because the people using these tents tend to focus on saving weight. The nicer family tents have large vestibules. However, many do not as these tents aren&apos;t designed to handle weather conditions that include pouring rain and blowing wind. Double-wall three-season tents include tons of venting to help you stay cool in hot weather. A tent body made up of almost nothing but netting is pretty common. Single-wall three season tents have fewer, so there&apos;s less airflow and more condensation. These tents include just enough venting to reduce condensation, but every speck of mesh can be sealed to keep out the snow during a storm. Vents, vents, and more vents. Whole mesh doors and giant mesh panels are common. These tents have more venting than a chain-link fence. Footprints serve two different purposes for three-season tents. Placing a footprint under your tent doubles the floor&apos;s thickness, so you don&apos;t wear out your tent while camping in a less-than-ideal spot. You may want to leave the footprint behind for long-distance hikes where weight becomes a serious issue. Many tent designs allow you to pitch the fly and footprint without the body. This ultralight setup works great for trips where you&apos;re not too concerned with bugs and you&apos;re not likely to experience any weather beyond the average rain shower. Footprints add extra water resistance and durability for long stays in camp, but they usually get left behind if you plan to move camp every night. Get yourself one and use it whenever you can afford the extra weight. There is no good reason to leave a footprint behind during a family camping trip. Unless you like wearing out your tent extra-fast and having to buy a new one each season. 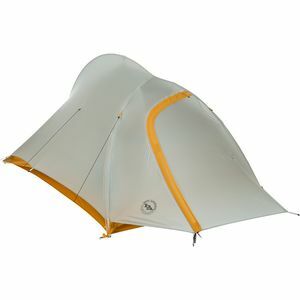 Check out our entire selection of tents. Why stop there? We have what it takes to outfit you for the backcountry: shop backpacks, layers, rain shells, and more.